A short and very easy deserted-island scenario, made more interesting by extremely flexible gameplay. Loosely based on the Jules Verne classic Mysterious Island, this innovative first-person puzzle-adventure feels more like a demo than a full game. The playable area is very small, there are only about six tasks that need to be completed to win the game, four puzzles plus a couple of optional ones, and the whole thing takes maybe six hours to play. On the bright side, Return To Mysterious Island is vastly more flexible in its problem-solving than most adventure games-- there are dozens of different ways to complete many of these tasks. Confronted with a monster later in the game, for example, you can dispose of it either by poisoning it, shooting it with a bullet, or shooting it with several arrows; if you're going to use the gun there are two distinct ways to get gunpowder, and it you're going to use arrows, there are a few different materials out of which you could fashion a bow. This makes gameplay very intuitive, since almost any sensible solution you're able to think of to an obstacle is likely to work. It also makes the abrupt ending all the more jarring, however, since you're likely to end the game with a couple dozen things in your inventory that you never got to use for anything. Theoretically Return to Mysterious Island can be played all over again trying out different solutions to each of the puzzles, and the game even includes a Kings-Quest-style scoring system to try to encourage you to do this, but in practice it's not very satisfying because the game assigns you points every time you build something new (even the alternate solutions to puzzles you've already solved) or take a new action (even a stupid one like wasting food), so achieving a higher score actually has less to do with finding creative new solutions to puzzles and more to do with obsessively making sure you've clicked every object in the game on every other object at least once, which was too dull even for me to want to spend time on. Overall though, this was a fun if very simple adventure, particularly appropriate for playing with kids. Style: Return to Mysterious Island is a first-person puzzle-adventure game with a 3D point-and-click interface. You control a single character, a resourceful sailor named Mina. The plot is a basic adventure and there are science-fiction themes. There are a few timed challenges in the later part of the game, but they are quite forgiving and require little manual dexterity. It is possible for Mina to die in the later part of the game, but if she does, the game will automatically return her to the point before she made her fatal error, to allow you to try again easily. Series: Return to Mysterious Island is a stand-alone game that doesn't have any direct sequels (i.e. nothing involving the same characters), but the game designer has put out a second game using the same engine based on another Jules Verne story, called Voyage. Finding Return to Mysterious Island: This is a relatively recent game which can still be found in many software stores. Here it is for sale on Amazon. If you're a fan of graphic adventure games in general, this is also one of the games included on the Adventure Collection DVD, so you could pick up five decent-quality adventure games for less than $20. Getting Return to Mysterious Island to Work: I did not encounter any installation or gameplay problems with Return to Mysterious Island. It even seemed to work OK on my kids' Vista machine. Hints For Return to Mysterious Island: I do not yet have a page of Return to Mysterious Island hints up. There is a good hints page at UHS which reveals only one hint at a time, so you won't accidentally learn the answers to future puzzles while scanning for the one you're stuck on. Game Length: Around 6 hours, very short for a graphic adventure game. Age-Appropriateness: Return to Mysterious Island is rated E (for everyone 6 and up), and except for the final puzzle, there's really nothing in the game young children couldn't do on their own. The many different ways to solve problems and the easy instant-replay if you inadvertantly get Mina killed make this a particularly good game for kids. Plot and Quests: There really is no plot to speak of in this game. Only one thing resembling a plot point ever occurs; other than that, it's just Mina exploring and building things. Though an interesting story arc or at least an optional subplot or two would have improved this game substantially, the formlessness of Return to Mysterious Island is at least preferable to being led through by the nose through an overly linear BAD plot. Puzzles and Mental Challenges: This is an exceptionally easy game-- there's no way to lose (it's impossible to use up an inventory object you will need later, for example) and random clickwork will eventually build anything you need in the game. Only the puzzles in the final room of the game require any mental acuity. However, Return to Mysterious Island does receives major props from me for allowing multiple solutions to puzzles, something too few games bother with. Characters: You play a pre-assigned PC in Return to Mysterious Island, a resourceful sailor named Mina. For the most part you interact with the island directly through the interface, as if you were there yourself; but Mina still serves as the narrator, remarking on the world around you as you click on things. You can't affect her reactions or personality at all. Gameworld: The gameworld here is very small, but it is logically consistent and fun to explore. 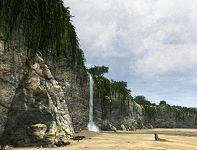 The beach and jungle scenes have a realistic appearance that lends to the feeling of surviving on a deserted island, while the cave and submarine scenes are more evocative of Jules Verne. Gameplay: The flexibility and intuitiveness of the gameplay is a breath of fresh air in a game genre that often lacks such things. Unfortunately, probably because the game is so short, there's a real lack of variety in the things a player is able to do in the course of the game: pick things up, click objects on other objects, and press buttons on a few puzzles. Too much time had to be spent pixel-hunting, and not enough planning solutions. Interface: The interface is a basic point-and-click affair. The viewscreen feels a bit small, which means you need to swing the viewscreen from side to side and sometimes up or down in order to see all the hotspots in a given scene. One benefit of the game being so short is this doesn't have time to get on your nerves very much.  Ambience (Graphics, Sound, etc. ): The graphics are very good, particularly the background visuals on the island. Many small details like flitting butterflies, breezes moving the palm fronds, and the quiet sound of crickets add to the mood. Boarding the Nautilus at the end was rather anticlimactic and not as interesting to look around as I might have hoped. Lora's Recommendations: I recommend Return to Mysterious Island to kids, adults playing with kids, or casual players who would like an uncomplicated foray into the world of adventure gaming and inventory recombination. More sophisticated gamers may also enjoy the game (I did), but don't expect to have your intellect challenged or for the experience to last very long. If You Loved Return to Mysterious Island: Other fun adventure games for beginners include Curse of Monkey Island, Syberia and the Nancy Drew games. If what you really liked was wandering around mixing inventory items together to make batteries and gunpowder, you might even enjoy Chemicus, an quirky educational adventure game that lets you create virtual explosions and chemical reactions. If you liked Return to Mysterious Island but would have liked a slightly higher challenge level, then you should try out the Myst series if you haven't yet. For a more detailed critique of the game involving spoilers, plot holes, and impacts Return to Mysterious Island could have on the adventure-game genre, please see my Backseat Game Designer page. Happy gaming!